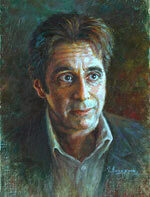 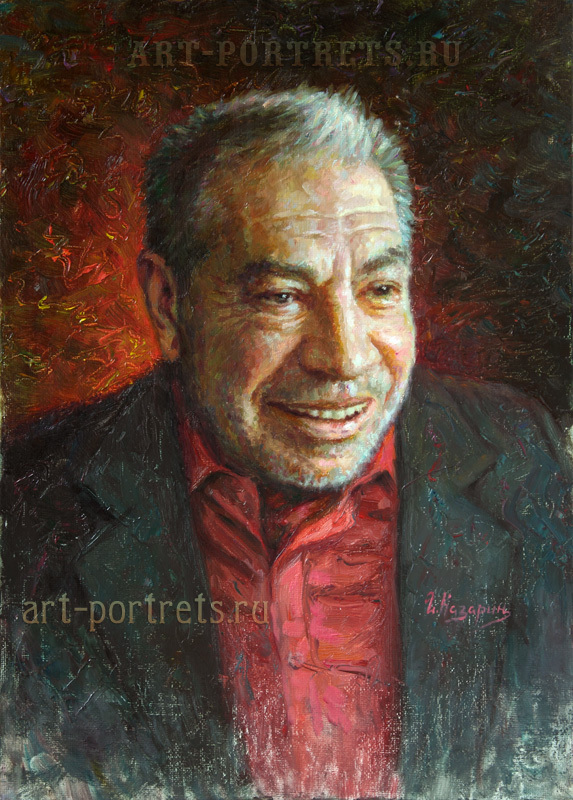 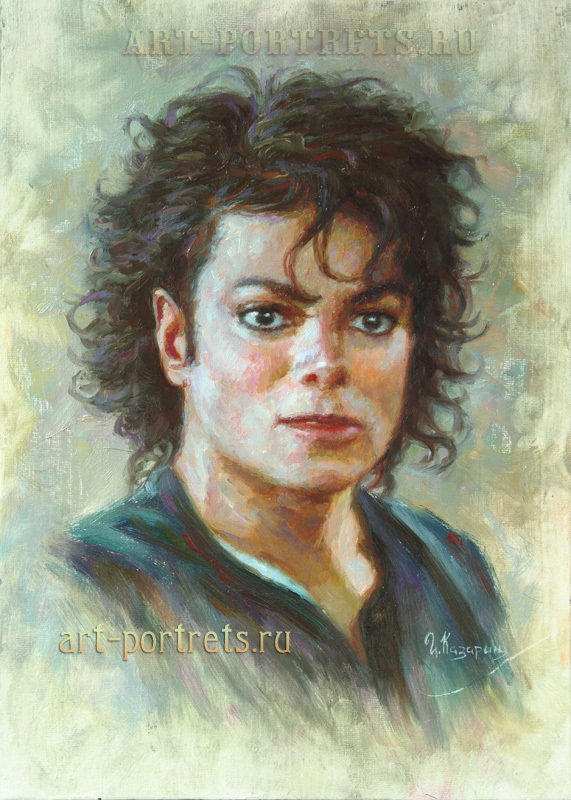 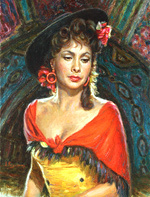 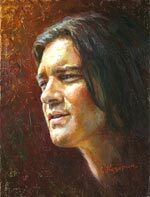 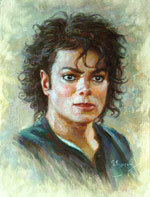 On this page I continue to publish my paintings of famous people in oil on canvas. 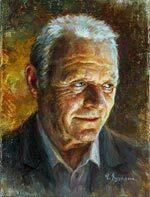 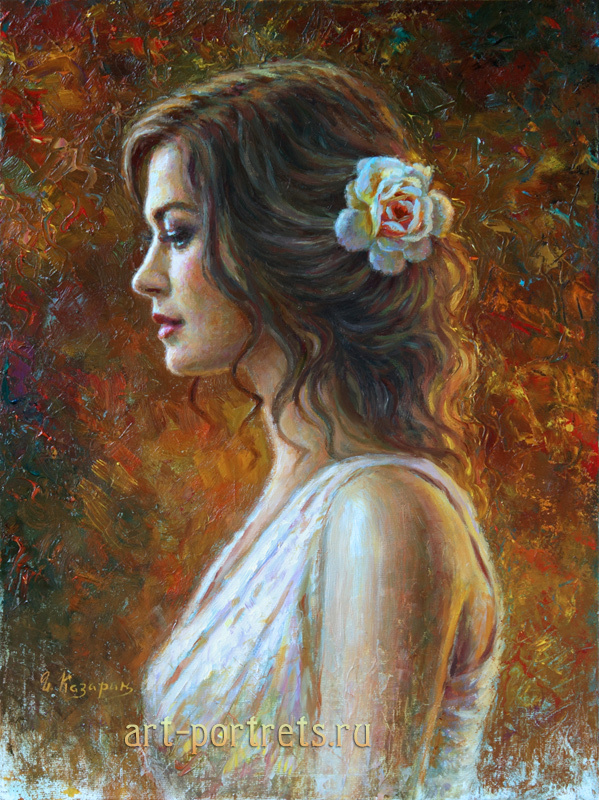 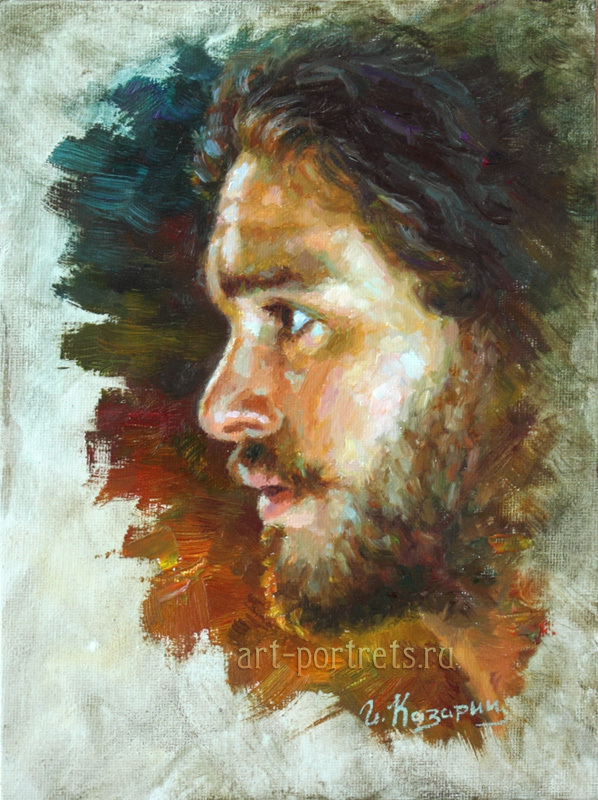 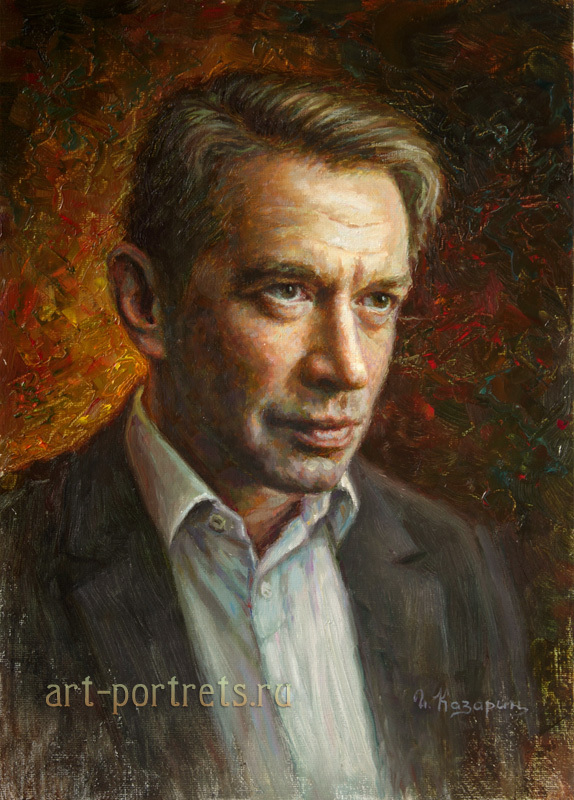 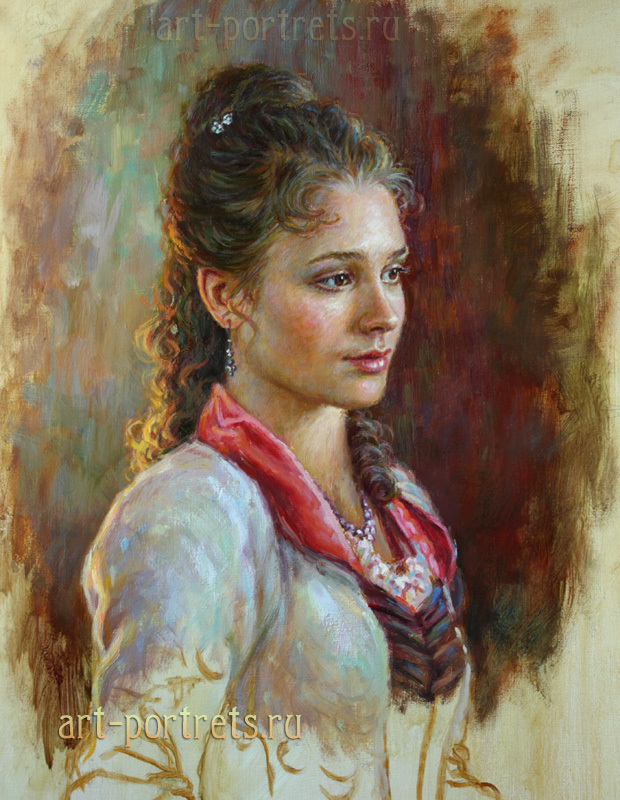 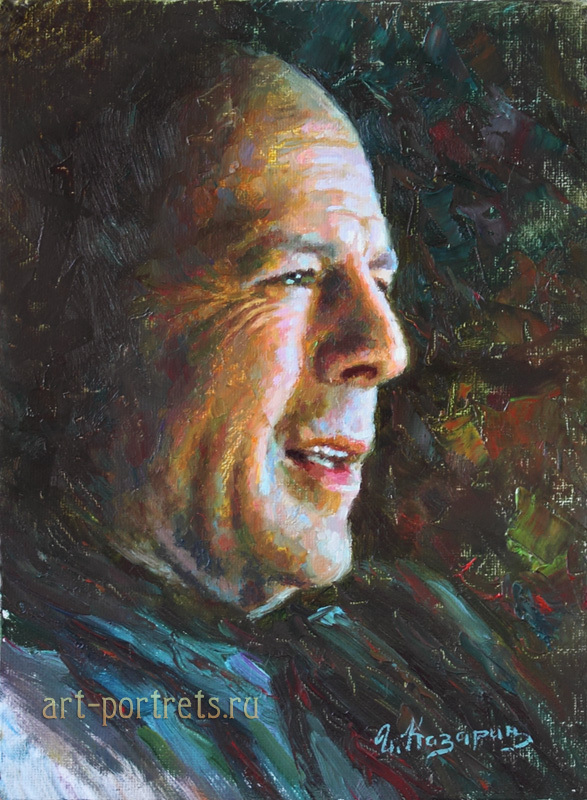 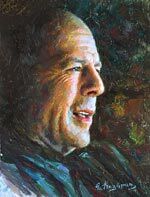 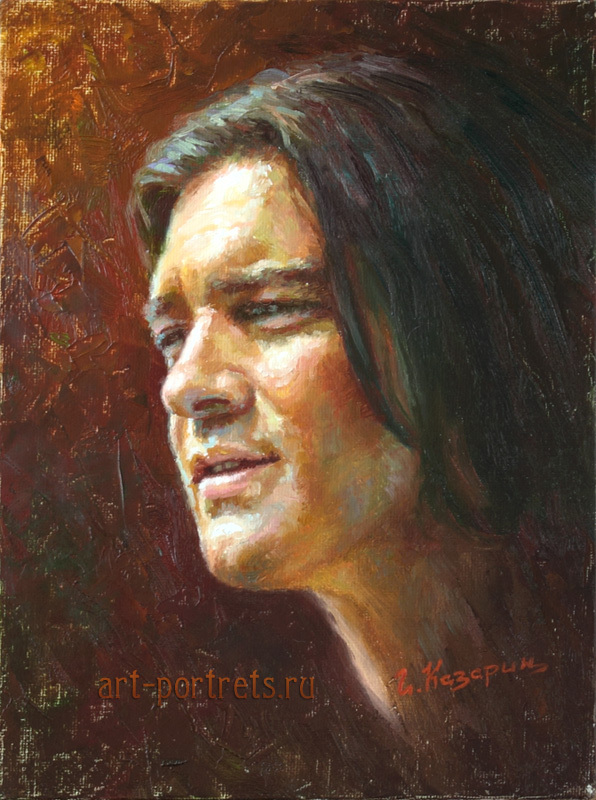 Basically, these are not large sizes of portraits, I was asked beforehand if I could paint a portrait in oil by a small size: 18 to 24 cm, 25 to 35 cm, 30 to 40 cm and 40 to 50 cm. 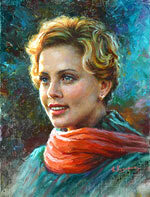 In value, a small portrait can not yield to large canvases. 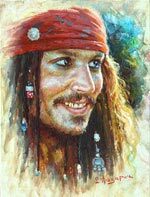 The reason here is clear, not all have large private galleries and living quarters, so a small size can afford a lot of people. 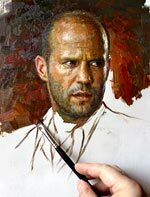 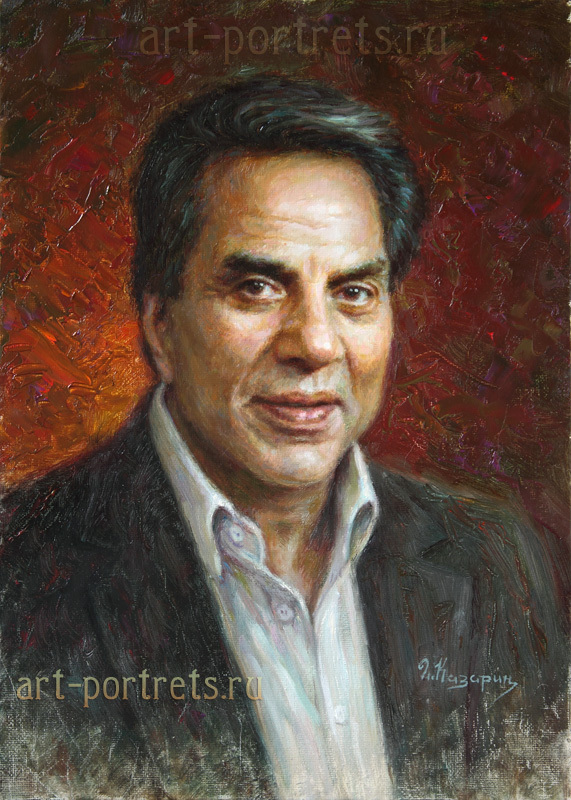 I started painting portraits of famous people even in early childhood, at that time I was very fond of drawing from magazine pictures, I mostly drew actors, most of them were shots from different films. 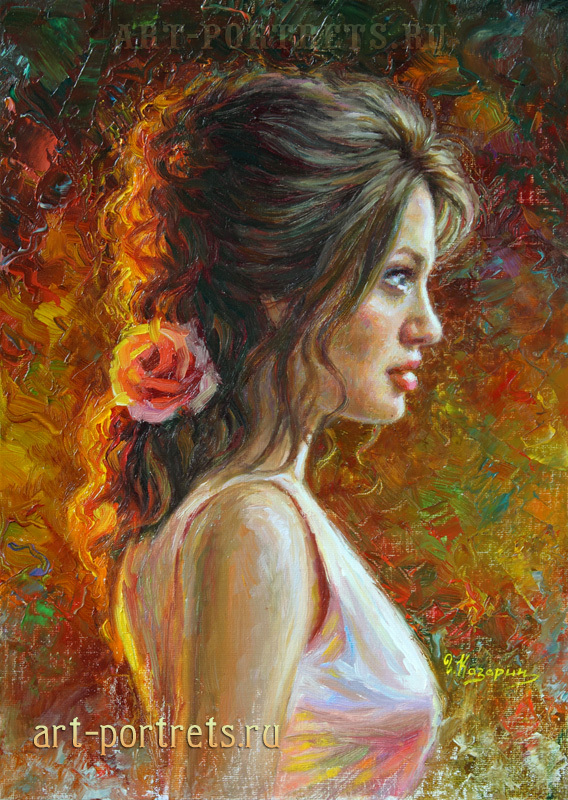 Mostly then I drew with a simple pencil, sometimes drew with colored pencils, of course, all these drawings I have not survived. 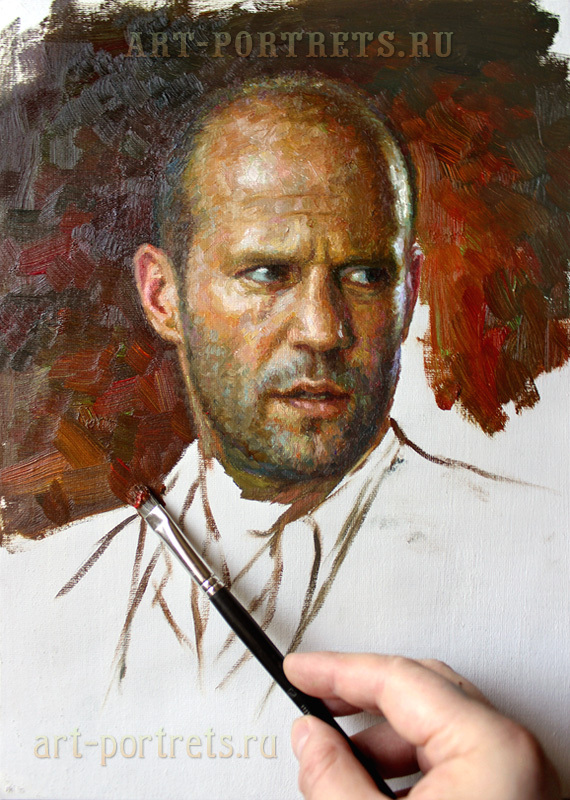 In the past few years I drew a lot of dry brush portraits, which you can see on this website. 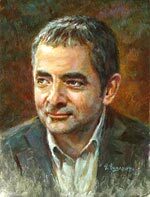 I can say with certainty that many artists often or rarely turn to the theme of drawing famous people. 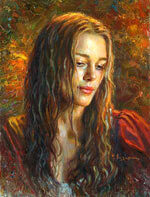 It would seem that in this and for what it is needed? 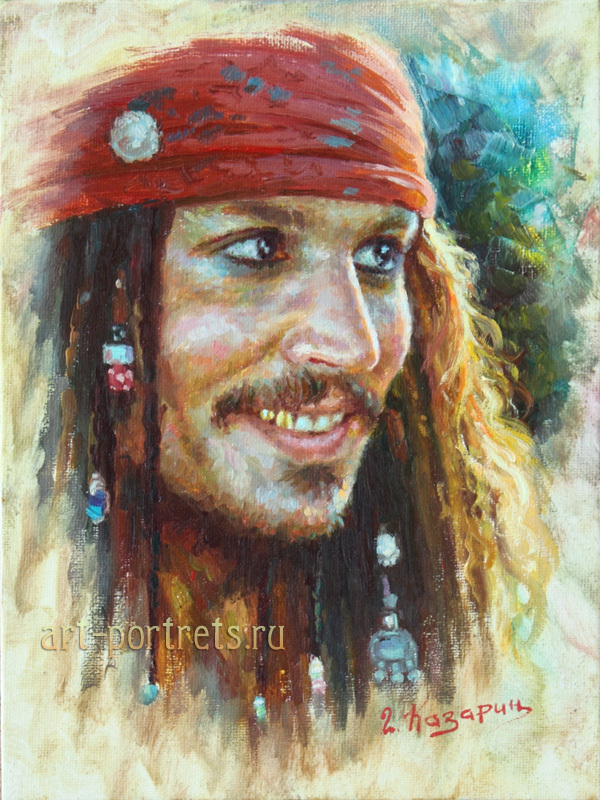 When I was a street artist and painted, for example, in Arbat Street, every artist must exhibit his works in order to attract interested people to draw their own portrait. 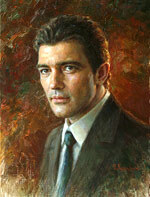 Here, then, the portraits of celebrities were, just needed. 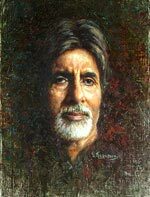 Visitors even chose an artist for the best resemblance of portraits of stars and of course the quality and realism of the works. 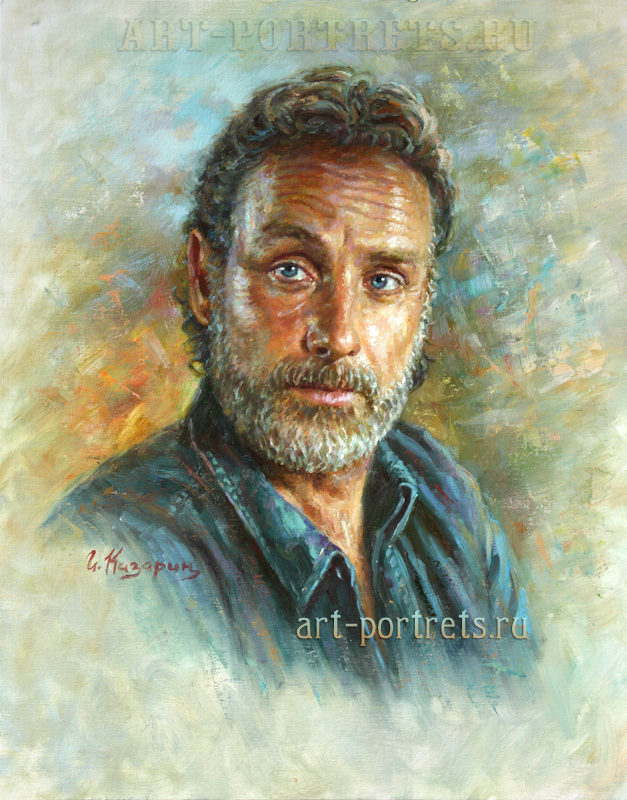 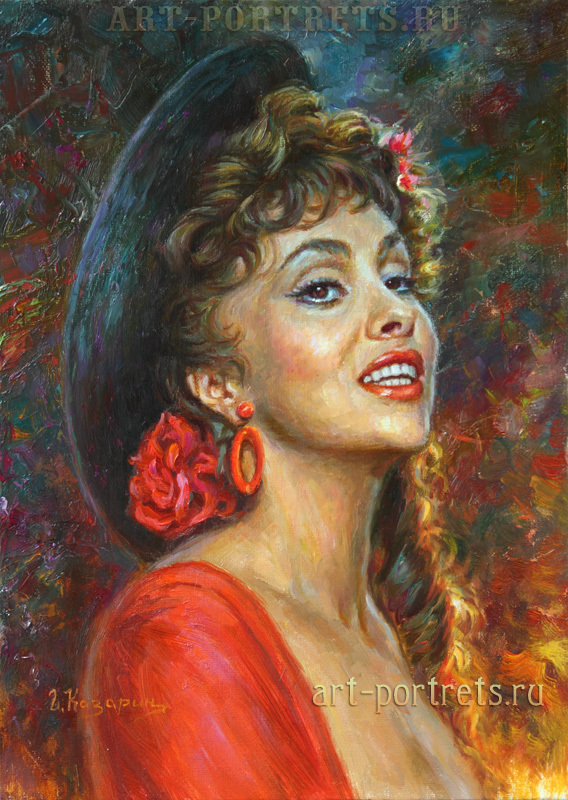 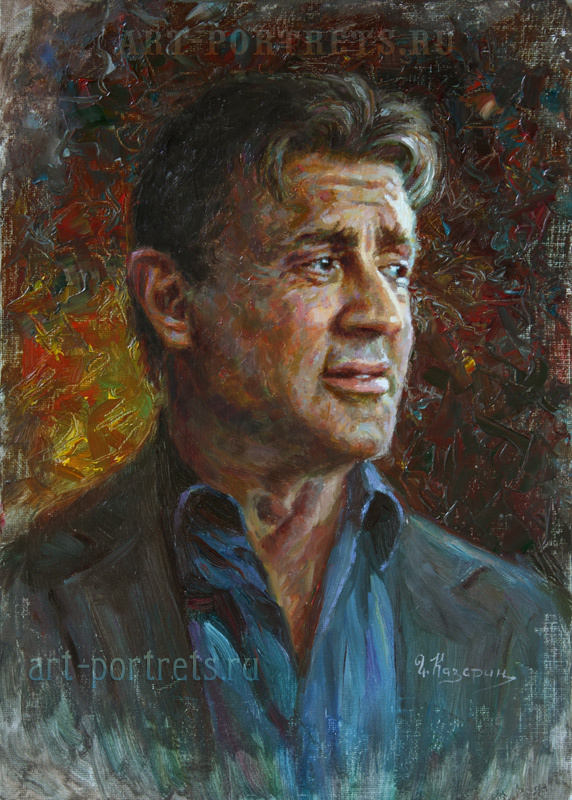 Portrait commissions for celebrities are sometimes, but rarely and even more so, it's basically ordered by fans. 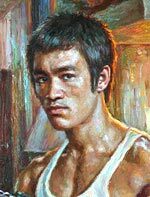 Since, I recently draw portraits from photographs for everyone, and portraits of famous people on my site tell my potential customers the level of my work. 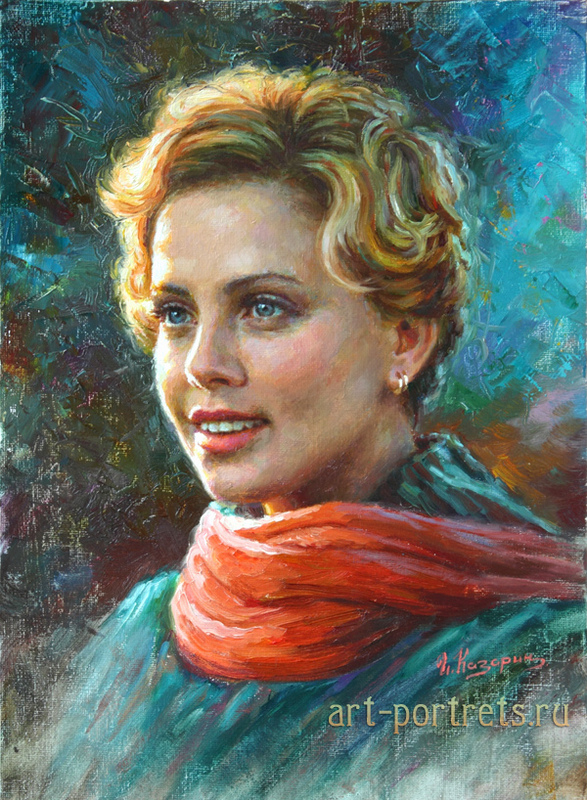 The craving for drawing famous people I still have today, thanks to the Internet where I exhibit my work not only on this site but also in social networks such as Facebook, Devianart and Instagram, I get many positive reviews, from time to time and customers who are known to inspire me to continue to paint famous actresses, actors, singers and other popular personalities. 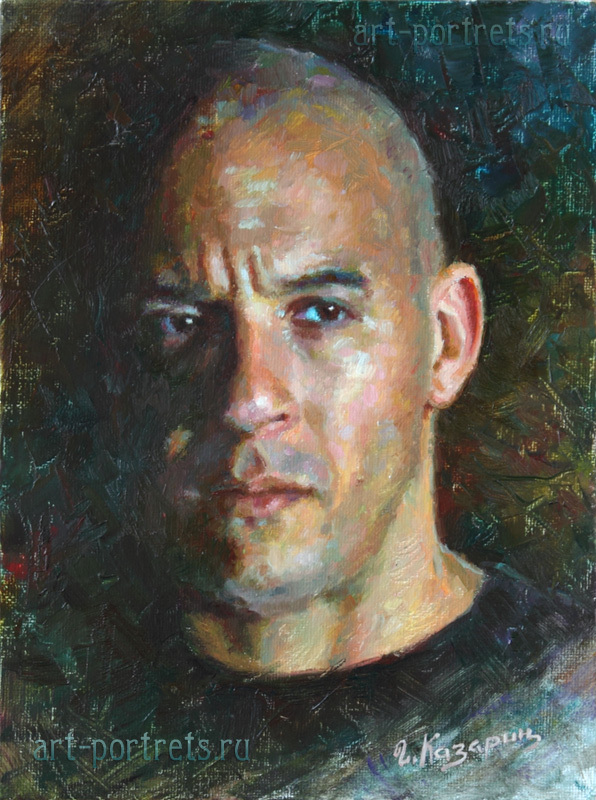 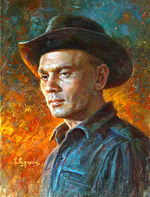 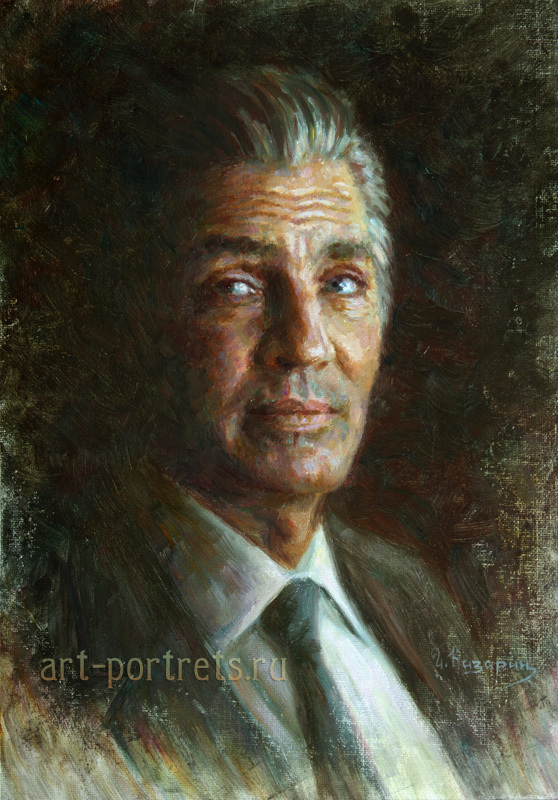 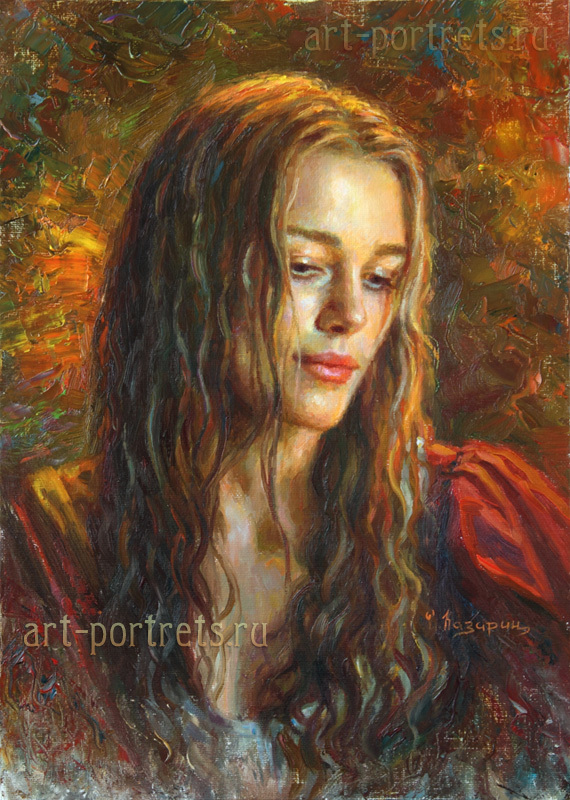 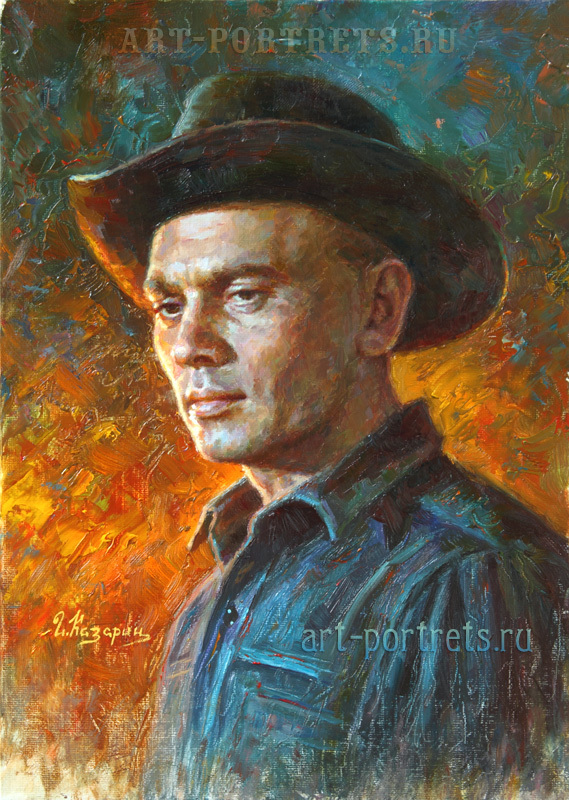 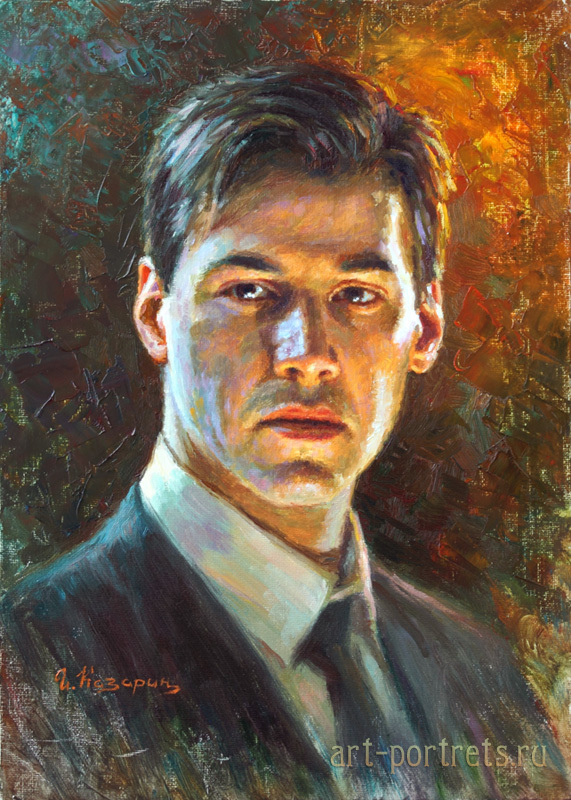 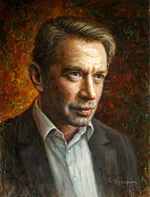 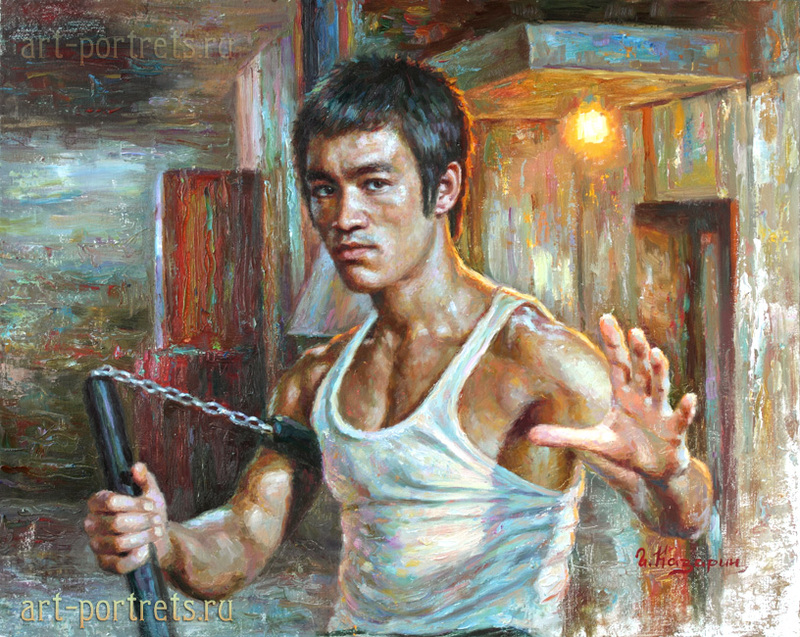 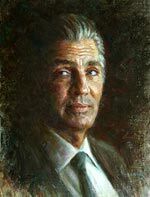 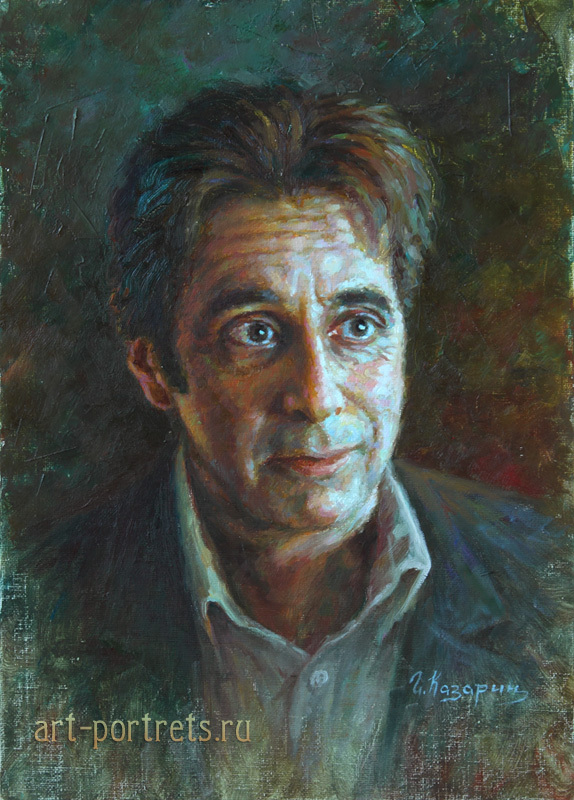 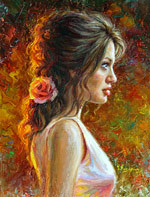 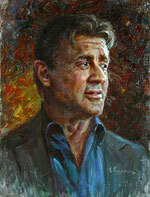 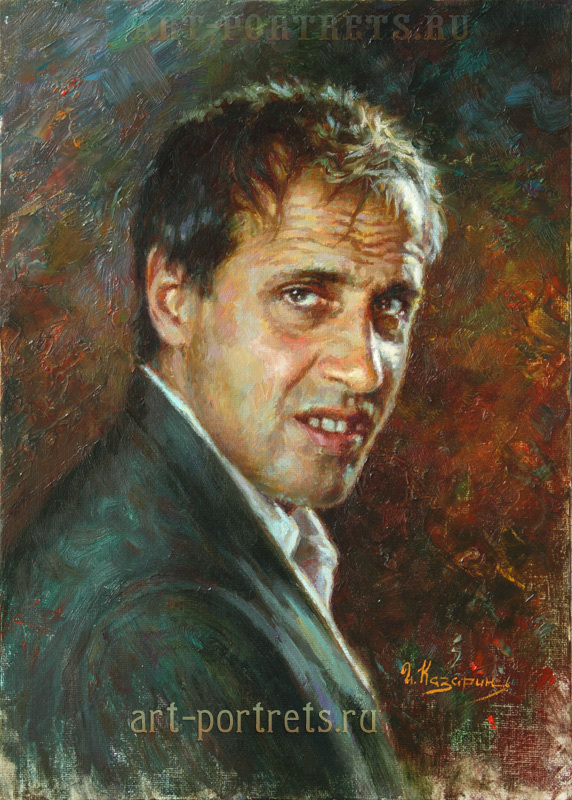 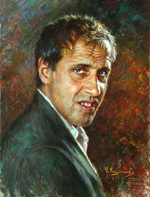 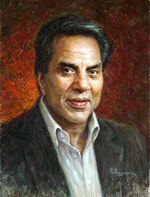 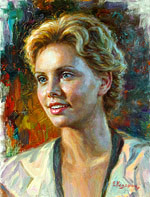 Among these paintings are actors: Keira Knightley, Charlize Theron, Emilia Clarke - Khalisi, Al Pacino, Anthony Hopkins, Bruce Lee, Johnny Depp, Vin Diesel, Keanu Reeves, Antonio Banderas, Keith Harington, Bruce Willis, Rowan Atkinson, Adriano Celentano, Vladimir Tolokonnikov, Anastasia Mikulchina, Gina Lollobrigida, Danai Gurira, Angelina Jolie, Catherine Zeta-Jones, Jason Statham, Antonio Banderas, Andrew Lincoln, Vladimir Mashkov, Eric Roberts, Anthony Hopkins, Sylvester Stallone, and famous Indian actors Amitabh Bachchan and Dharmendra Dharam Singh Deol. In the very near future I will publish on my website many other actors. 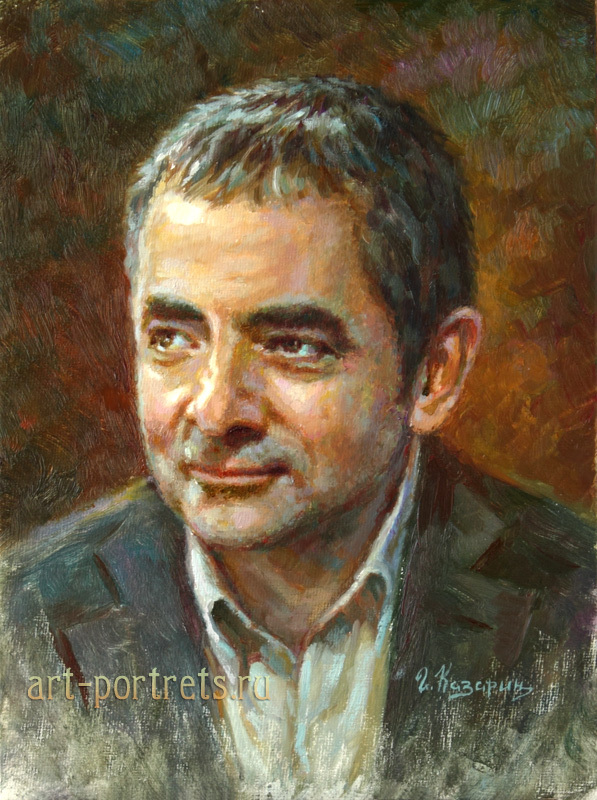 Recently, often walking on the Internet, I sometimes notice interesting in my understanding the images of various famous personalities inspiring me as an artist to do a paintings of famous people. 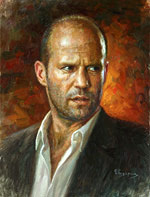 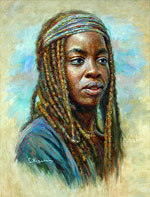 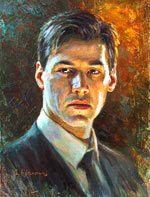 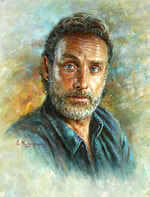 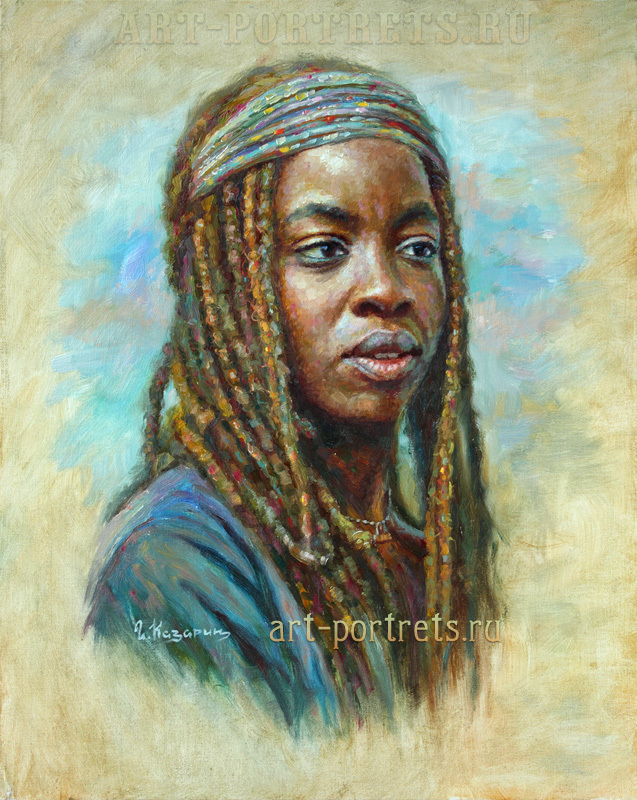 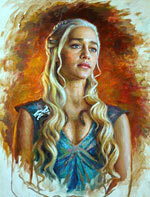 Also appears inspiration to paint from a particular actor or actress after watching the movie and TV series. 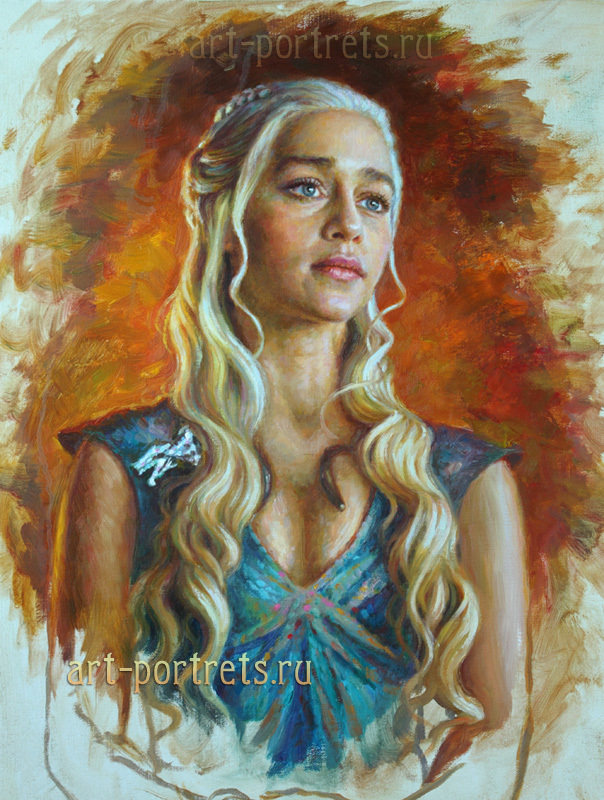 For example, Game of Thrones, in the series The Game of Thrones attracted me the image of the beautiful actress Emilia Clark, where she played Khalissi, Mother of the Dragons. 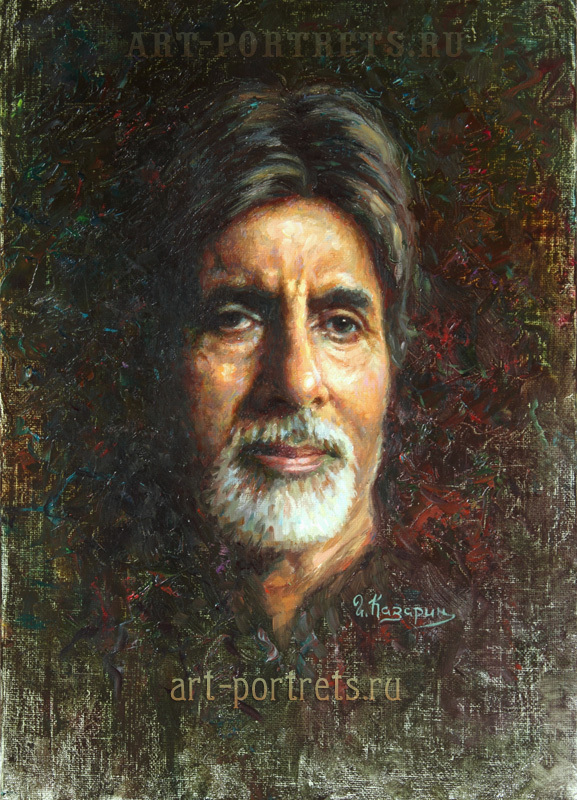 In most cases, I try to change a lot in my portraits of my favorite actors, for example, the shades of the face or sometimes the volume, background, hairstyle, etc. 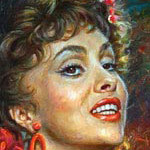 Later it helps to increase the perception of the star's portrait to the proper level. 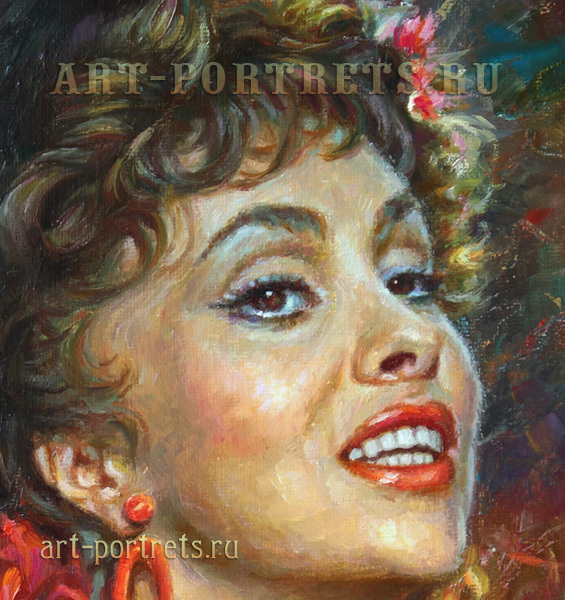 There are such photos where the actress looks in my opinion is not at a high level in the understanding of female beauty and it becomes a task, how to fix it, make it just candy, a few flattery without going beyond and of course give a few charm. Maybe someday, my work will be seen on the Internet by the hostess herself, will lift her mood :). If you want to order a portrait from a photograph of one of the celebrities, or for your acquaintances, just let me know.